Homemade ice cream diet - easy! As soon as the street starts to warm up after a long winter, and the first rays of "shamelessly" sun roasted, causing unbutton his jacket and loose scarves, we begin to search for "saving coolness" in cold drinks, sorbets and of course, ice cream :) Believe it or not ( but better - check), but my! 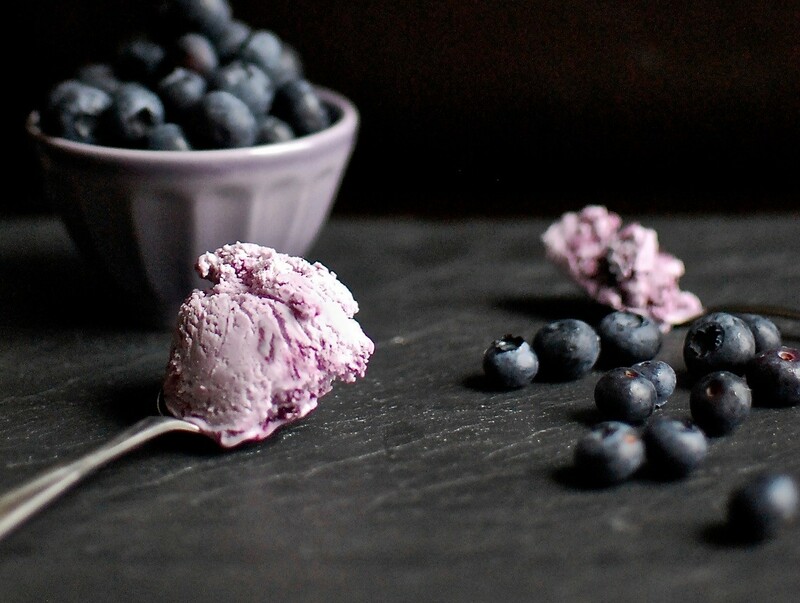 homemade ice cream diet blueberry - breathtaking delicacy! It is not only 100% profit, but also a taste that will make you question whether you really eat a low-calorie product without sugar and excess fat! You must admit, the thought of fat and calories, sugar, and not entirely "pure" composition often stop many of us. Homemade ice cream with blueberry diet was my favorite among the desserts, which for all utility and ease of preparation is also very tasty. Rich in vitamins, fiber and high-protein treat perfectly fit into the framework of proper nutrition will not hurt the figure will be useful to your favorite snack in the hot (and not only the time :). agave syrup, honey or Jerusalem artichoke - to taste. *Optionally, you can also use other berries (raspberries, blackberries, black currants), fresh or frozen - does not matter, the taste (and good! ), The final product does not depend on it! Number of berries can also be adjusted on your own. Blueberries and cottage cheese pyuriruyte using a blender. If using frozen berries, defrost it, you can not (or do not defrost before the end). Add a chopped banana, again grind blender until a uniform smooth consistency. Try, if enough sweetness - add a spoonful of syrup or honey. Transfer the mixture into a plastic container (or immediately in ice-cream bowls) and send it in the freezer an hour and a half or two. Do not overdo! By the way, fans of classic Italian ice cream suggest trying Semifredo. To the ice cream does not turn into a block of ice, be sure to stir it every 30 minutes (which is why it is more convenient to do in a container: opened the freezer, mixed thoroughly with a spoon, closed, half an hour later repeated the procedure). Homemade diet ice cream is ready, enjoy without remorse! P.S. В XNUMX граммах моего домашнего мороженого всего 73 calories (* Be careful caloric may vary depending on your proportions, the number of berries and honey / syrup).